Got an interesting ride you’re proud of that you’ve cared for with one or more P21S Auto Care Products? 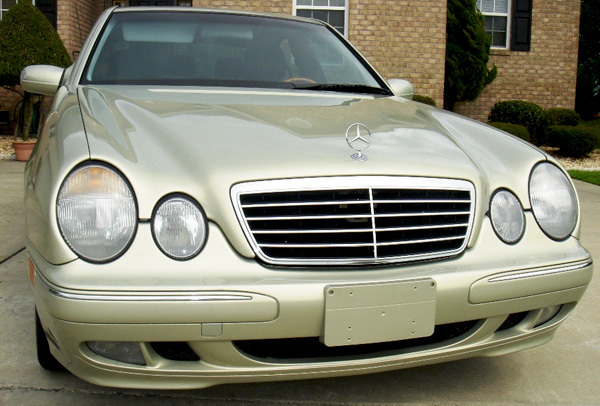 Send us a photo, description, and brief outline of how P21S Auto Care Prdoucts have helped you keep your car in top shape at p21sbroimp@aol.com. Please state in your email that you authorize P21S to show your car and use your statements on its website for a period of one year. 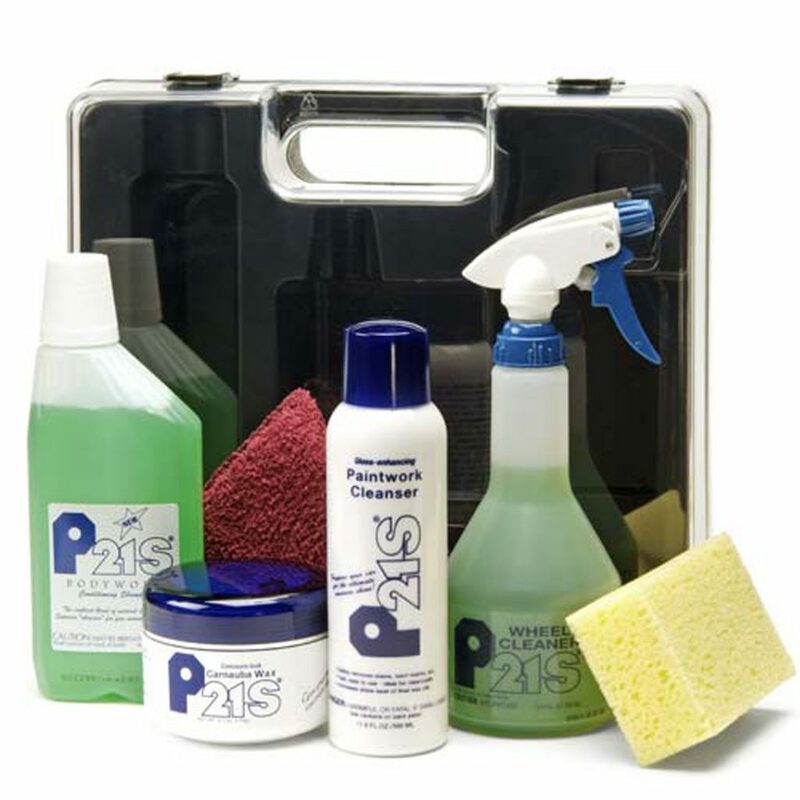 If we choose your submission, we will ship you a P21S Auto Care Set, shown at right. It's gorgeous and I honestly can't stop staring at it! Several years ago I was introduced to your fantastic product line when I first started detailing cars as a hobby. 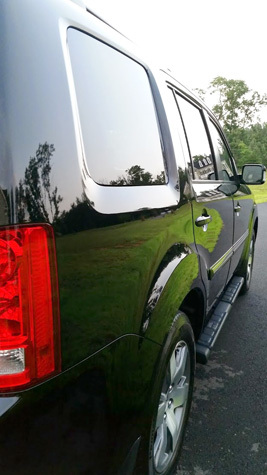 My vehicle is black and I needed a product that would not stain rubber and plastic moldings and was easy to apply and remove. I wanted heads to turn with the endless depth and shine. Enter P21S Concourse-look Carnauba Wax. It is all it’s advertised to be and more! Just look at the pictures! I couldn’t ask for a better carnauba wax and it is one of the most coveted products that I own. ….SHA-ZAM!!! It’s gorgeous and I honestly can’t stop staring at it! The car was gleaming and maybe too clean, if there's such a thing. 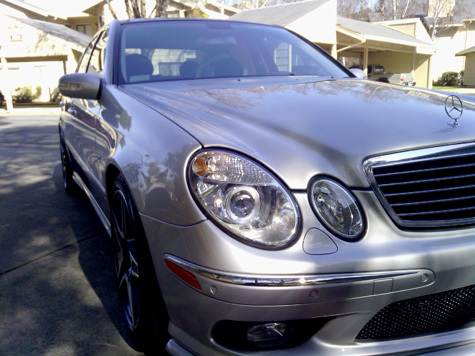 I have used quite a few car care products, either directly from Mercedes Benz or off the shelf and got pretty good results…. Knowing how much I pamper the AMG, (my crazy IT guy) convinced me to drive over 100 miles to his place so he can “cut” my car with an assortment of your products. I decided to give it a shot one summer day, and was extremely impressed by the ease of application, and even more by the showroom look when he was done. The car was gleaming and maybe too clean, if there’s such a thing. I love watching the heads turn as I pull out of a stop light or down the road. Most of all what really impressed me was the deep gloss my car has! I decided to try your products after reading positive feedback by researching websites and forums online. I used your Bodywork Shampoo, Paintwork Cleanser, and P21S wax and I couldn’t be happier. I was amazed how easy your wax was to apply and buff out! Unlike other waxes, it left no chalky residue or white stains on my plastics. Most of all what really impressed me was the deep gloss my car has! I took these two photos and showed my father the second pic and he really thought I aimed my camera to the sky and took a photo of the clouds. He was surprised when I told him I took the photo of the hood – the clouds reflected off my paint! Nothing comes close to P21S!!! Your products have made this ride and others a joy to behold. 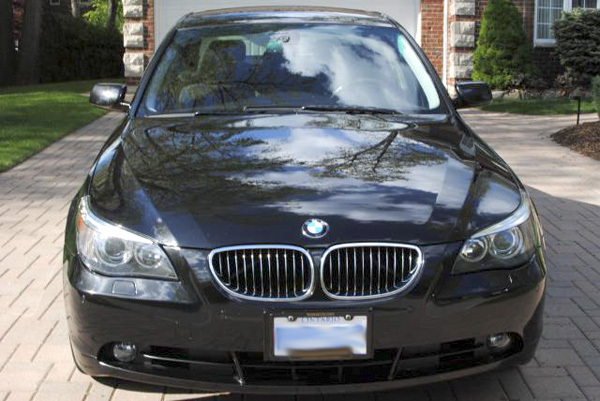 I have attached a picture of my ride which I treat with P21S wax and cleaner. It has won many best of class awards. 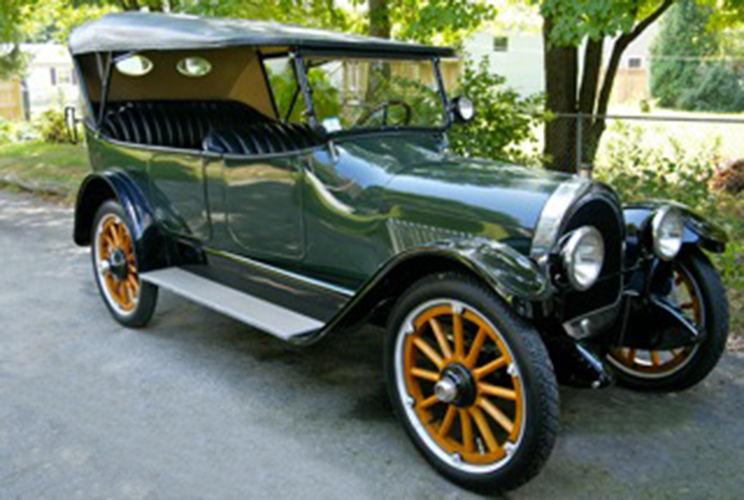 It is somewhat rare as a 1918 Oldsmobile 45A which is a seven passenger touring with the original V8 engine. Your products have made this ride and others a joy to behold. BEST WAX I have ever used in my 40 years of collecting fine automobiles. 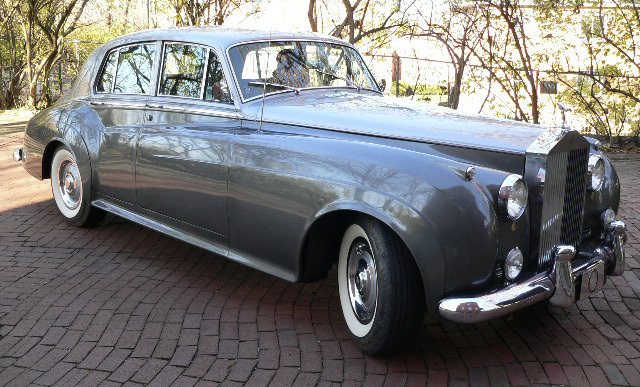 My 1962 Rolls Royce Silver Cloud II came to me with a patina of age all over it from my uncle’s estate. The car has now been refreshed and tuned and now with only a little over 17K miles is an everyday driver. I used your P21S 100% Carnauba Paste Wax all over it. The reflection is so deep, unlike anything I have ever seen before! Incredibly easy to apply and remove without leaving any white stains on the rubber. Well worth the cost-the BEST WAX I have ever used in my 40 years of collecting fine automobiles. I am now a loyal customer and when asked what I use I say P21S exclusively. Your wax is an unbelievable product that is second to none…It goes on so smooth it’s like butter, and all it takes is one swipe to remove. But best of all, the look it gives is simply fantastic, nothing I used from over the counter or even products I bought online came anywhere close. The wheel cleaner is simply fantastic, and the best part of all is that it’s safe for every type of wheel- which some cleaners are not, and with custom wheels you have to be careful… Every product I tried from you was simply top notch- from the wheel cleaner to the polishing soap to the wax…The picture you see is real, no editing was involved, it came straight from the camera, unlike some other companies do to market their product…I can guarantee and recommend P21S products to anyone who wants to make their car have a show car look. I’ve been detailing my cars for many years now…It seems that no matter what I tried, I was just never totally satisfied with any product so far…As everyone knows, black has to be one of the hardest colors to maintain. One day my son introduced me to your P21S Carnauba Wax. Well, I was amazed at the results. Not only does she look like she just came out of the show room, but I never used a product that was so easy to use…The gloss and depth of color are amazing. I constantly have people asking me what I use, my one and only answer, P21S. You simply have a superior product over anything that is currently available, or at least that I have tried, and that’s a lot. No mater what and how many cars I will own in the future, they will all receive the best, meaning they will all be P21S cars. After having to put up for years with used cars who’s paint was never properly taken care of, I swore that when I bought my first new car the paint would receive nothing but the best care available. 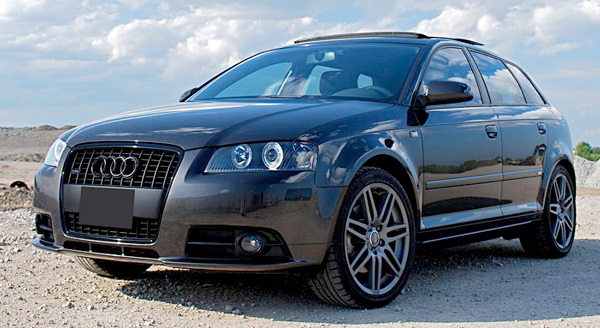 When the day finally came to pick up my shiny new Audi A3 I had already armed myself, after extensive research, with the full P21S detailing kit and have not looked back since. At this stage the car is 15 months old, 41000km as a daily driver and not so much as a single swirl mark on the paint. The products performed absolutely amazingly and no mater how many times I attend shows and Audi enthusiast meets people are always asking me what is my secret for keeping that deep down shine. They can’t believe that a car can look this good after more than 41000km of commuting, road trips and all the horrors of a Canadian city winter. No matter what and how many cars I will own in the future, they will all receive the best, meaning they will all be P21S cars. All I can say is WOW! The paint shines with a deep glow. 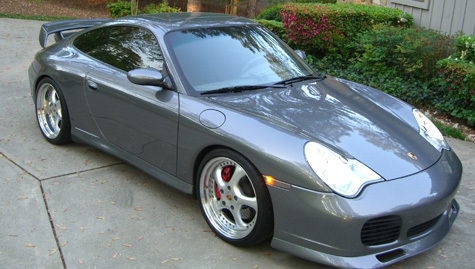 I have been a die hard Zaino user for the past few years, but a friend convinced me to try P21S on my Porsche. All I can say is WOW! The paint shines with a deep glow. Am now a converted P21S user!! Thanks for a great product! I have been detailing cars for years, not as a business but my own cars and friends of mine. I take my cars to shows and have won numerous 1st place trophies for all my cars. People always ask me what I use for wax. How do you keep your wheels so clean? I tell them P21S Wax and Wheel Cleaner. I have never found a wheel cleaner that keeps the white wheels so clean. I have tried them all. Your wax is phenomenal easy on easy off and the shine and durability are amazing. The color on my 1998 BMW M3 and 1995 Taurus SHO really come to life with your wax the depth and shine are amazing. 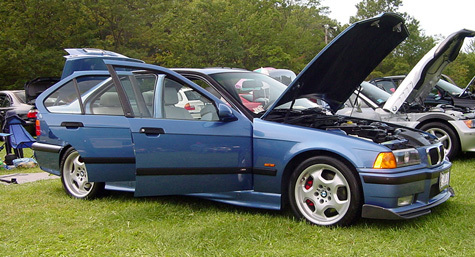 I remember one day I was at my brother’s house the night before I was to go to a German car show with my BMW. His neighbor is a real car guy and has a mint BMW Z3 Roadster. He had to come over to check out my car and was admiring the shine and asked me what I used for wax and I told him P21S, he said he just spent the day cleaning and waxing his car and was going to try some P21S next time. Later that night we went next door to his house to check out his car and the car was beautiful Imola Red. We got to talking and for some reason I went back to my car for something and I also grabbed the P21S Wax and some microfiber towels out of my trunk. I went back to his garage and I asked him to try the P21S on his car. He was so amazed at the shine we spent about a half an hour and waxed his whole car which he had waxed earlier that day with another brand. The next day I went to the car show and took 1st place and he went and ordered some P21S Wax and Wheel Cleaner. I never knew that you can get a silver car to look that wet. The shine is out of this world!! 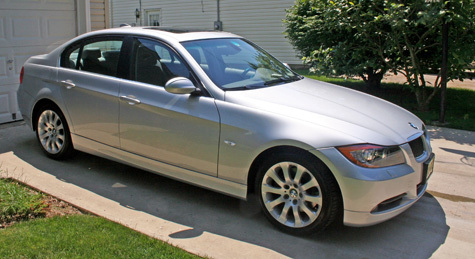 I recently purchased a 2006 Titanium Silver BMW 330xi, and became obsessed with keeping it looking its absolute best. I tried the over the counter items, but was never impressed to the point that I would stop looking for a better product…Fortunately, one of the products that I kept seeing on all of the forums was P21S. It wasn’t just the Carnauba Wax that they were all raving about, it was also the wheel cleaner, body work shampoo and paintwork cleanser…First I cleaned my wheels with your wheel cleaner gel…Very gentle on my painted wheels and cleaned them with little effort. Next I washed and dried the car, and then clayed it. At this point the paint felt like glass and I thought why do I need the paintwork cleanser. Once I applied it, I understood. WOW, what a difference this made!!!!! I didn’t realize that my car could feel this slick. Not only did it do wonders for the paint, but it was extremely easy to apply and remove. Next was my favorite part. I applied the Carnauba Wax. I was always afraid to use a paste wax due to the amount of effort it took to apply and remove it. I couldn’t have been more surprised. This was the easiest stuff to apply and remove that I have ever used. Not only is it easy to use, but it looks insane. I never knew that you can get a silver car to look that wet. The shine is out of this world!! I am now hooked with your products and my search is now officially OVER!! 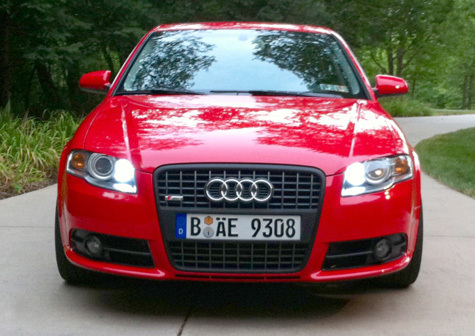 I started using your products back in 2002 when I purchased my first car, a silver VW GTI 337. This car had special 18” BBS wheels that I wanted to make sure stay in their best condition. After doing some research, I found that BBS endorsed your wheel cleaner as safe and purchased your whole kit to try it. 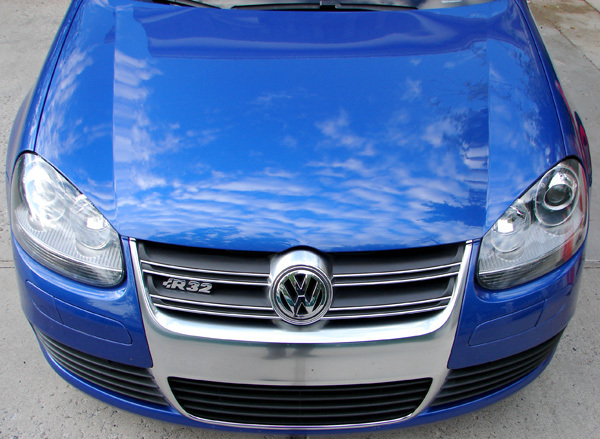 Six years later I still use your products, this time on a 2008 VW R32 in Deep Blue Pearl. The P21S Carnauba Wax looks even better on the blue paint, because it gives it much more depth. The easy on, easy off nature of the wax is a pleasure to work with and I can wax my car in 20-30 minutes with great results. The wheel cleaner still works great and makes it easy to clean the brake dust that German cars are notorious for. Thank you for making such great products and always trying to improve. I had forgotten how good my car could look. It really transformed my car. These two P21S products took a quarter time to apply, did not leave any white powder anywhere including the moldings that always turn white, were quickly removed and made my car really shine. As most people know, a black car is very difficult to keep clean and even harder to wax without acquiring swirl marks in the paint which can take away from the original showroom finish. Last week I went to my local detail shop and saw both the P21S carnauba wax and the paintwork cleanser and knew that if it worked anything like the wheel cleaner I would be impressed; and was I ever. 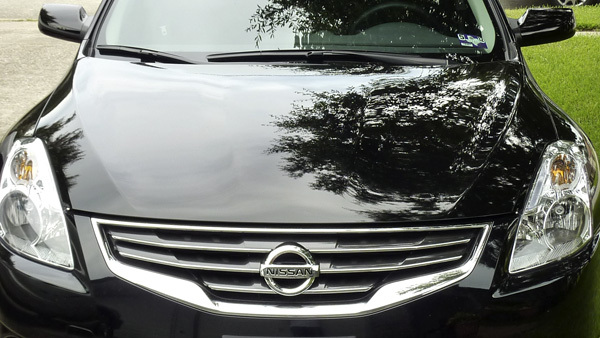 I previously used a three step wax system that took all day, was difficult to remove and left white powder all over the car and in those nooks and crannies, which look awful on a black car. These two P21S products took a quarter time to apply, did not leave any white powder anywhere including the moldings that always turn white, were quickly removed and made my car really shine.